I like this modification. Why the jig hook? 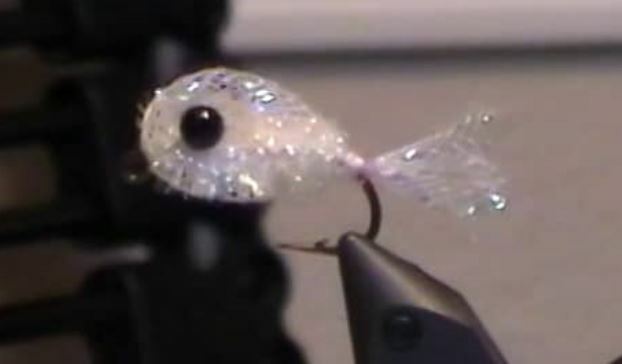 I’ve used these 60° bend jig hooks on other flies, and like the action when I strip the fly. And due to the price of these hooks I can tie a ton of flies for very little money. Is this that braided tubing from Michael’s/Hobby Lobby that comes in huge hanks and several colors? What hooks are these? Eagle Claw? Who stocks them? Glad to see that Harmon Creek has made the schedule for next year. The secret is out! “EAGLE CLAW 410 OSHAUGHNESSY JIG HOOKS” in size 2 and 4. And the braided tubing is exactly as you described. I now have a ton of it.